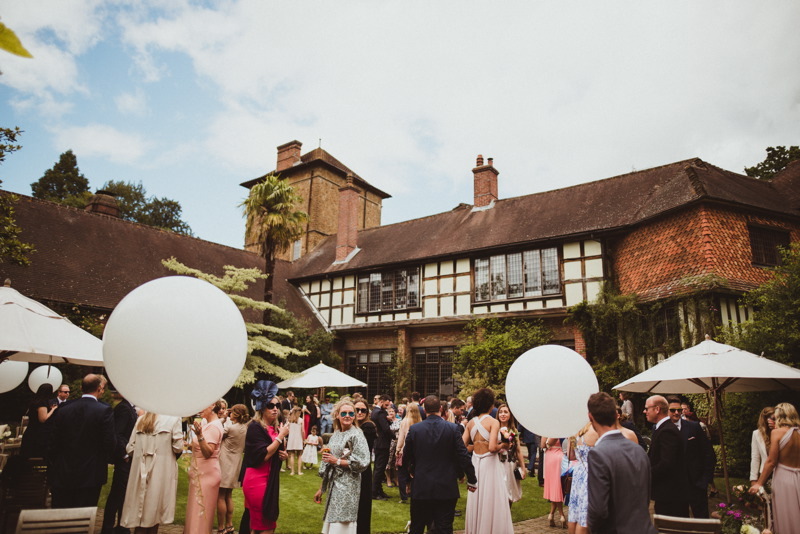 Ramster Hall is a much loved family home that lies in the Surrey Hills between Chiddingfold and Haslemere. Surrounded by parkland and over 25 acres of stunning gardens, it is both historic and beautiful. Approached by a long drive through the tranquil gardens, wedding parties have exclusive access of the three adjoining halls with a beautiful courtyard at their centre. Ramster Hall is licensed for civil ceremonies or couples may choose a church service and hold their reception at Ramster. Their house becomes yours for the day, with exclusive use of three adjoining halls and a beautiful courtyard. A stunning and very welcoming room which is used for civil ceremonies with a range of layout options. With a grand piano in the corner, and a beautiful fireplace, this provides a wonderful setting not only for the civil service, but also reception drinks for church or civil weddings if parties are unable to go outside. The room is yours for the day so can also be used as a ‘quiet’ room during the evening’s entertainment. 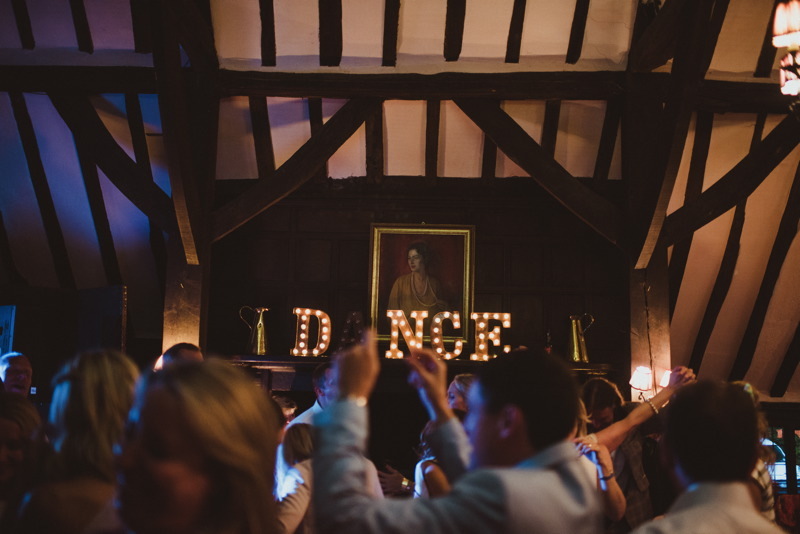 Built in 1604, the Hall for your wedding breakfast and evening party is over 100ft long. It is a magnificient and impressive room and the fairy lights add a touch of magic. At one end is a dance floor and in-house disco discreetly hidden if needed. This beautiful hall gives you an alternative entrance to the wedding ceremony from the courtyard. There is a permanent display of paintings by Paul Gunn which are always of interest, as well as an impressive collection of Japanese Samurai warriors, swords and shields. The three halls surround a beautiful courtyard garden, the ideal location for reception drinks and canapés. This is yours for the whole day and like the halls has a beautiful fire in the corner for colder days and evenings. 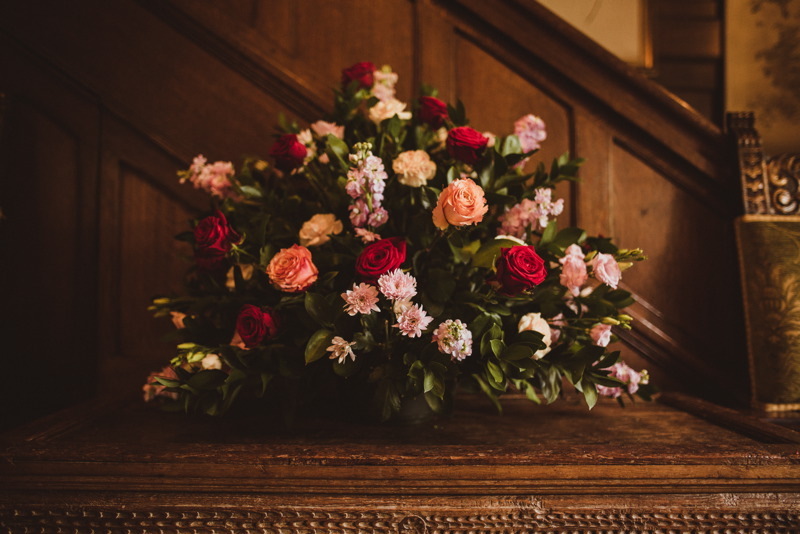 Ramster Hall is surrounded by acres of stunning gardens which are famous for their fine collection of Rhododendrons and Azaleas, a wonderful setting for wedding photographs.